Experience the complexities of the heart-warming paring of chocolate and wine hosted by Chef Patrick Chmura and wine specialist Cristen Kowalewski. Our two favorite indulgences take center stage for one evening as Executive Chef Patrick Chmura creates a five-course dinner of all things cocoa with wine pairings to compliment.Join Chef Patrick Chmura & Chef Andrew Harshman at Webster’s Bistro for our 5-course Italian Wine Dinner. 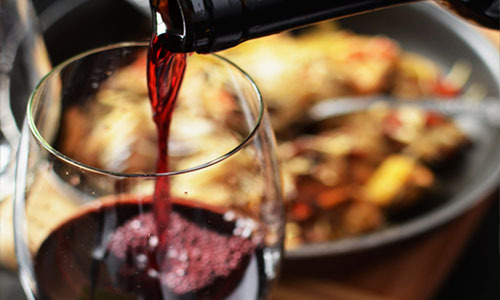 Enjoy a taste of Italy with dishes such as Cacio e Pepe and Pork Oso Bucco each paired with delicious Italian wines. Payment taken at the event. This event is sure to sell out – Register Today!